I studied with O-Sensei Morihei Ueshiba, the founder of aikido, during my undergraduate days in Japan. My research has indicated that O-Sensei’s aikido was in a primary way directly influenced by bagua zhang. My first in-depth, extended experience with a top-level master of internal martial arts was with Ueshiba between 1967 and 1969.
in terms of the physical techniques came from jujitsu.However, the chi that he manifested when he did aikido appears to have come directly from bagua, with some partial influence from hsing-i as well. Where did he get his power from? to manipulate chi as subtly or powerfully as Ueshiba or even to articulate the theories of ki (chi) basic to aikido and bagua. Actually, Ueshiba was far beyond aikijitsu’s level of sophistication. His ability to enter, turn, attract and then play with and lead an opponent’s chi and mind was phenomenal. In Japanese history, there was no martial art to compare to it, and no one else in Japan could do anything like it. with this miraculous chi-based aikido ability. It is my opinion, based upon personal memories of him and my technical analysis of his films 25 years after his death, that it is completely reasonable to assume Ueshiba studied bagua while he was in China. The entering, turning and leading of one’s opponent, as well as the hundreds of subtle energy projections of aikido are fundamental bagua techniques that existed long before Ueshiba’s birth. Because of this, I believe that Ueshiba learned bagua while he was in Manchuria, China. Before and just after World War II, it would have been extremely politically incorrect and counterproductive for Ueshiba’s organization to have credited the Chinese with part of his “new” martial art, given the chauvinistic military and nationalistic bent of Japan in that era. person, which may or may not be true. However, an extremely wealthy person can conceal wealth and have a very thin wallet, carrying only one credit card that has a million-dollar credit line (which is the nature of internal power). In Ueshiba’s case, this was very true. When I was with Ueshiba, he was in his eighties and of small stature, yet incredibly strong. When he was old and near the end of his life, his students would carry him into the dojo on a stretcher. He looked extremely weak and frail. However, he would suddenly gather his chi, stand up and toss exceptionally strong men around like rag dolls. Afterward, he would return to the stretcher and resume being a sick old man. typically would actually hit you first and then throw you on the ground. This “now you see me, now you don’t” is one of the great martial strengths of bagua adepts. Unlike a boxer or karate person whose hand you can see coming at you, bagua people have an incredible power and a strange kind of speed that is so subtle you cannot perceive its origin or destination. In watching films of the late master, one can see Ueshiba clearly demonstrating many of the chi principles of bagua. But while these chi principles are referred to in the vaguest of terms in aikido (when they are spoken about at all, which is rare), in bagua the critical energy principles are articulated in great depth and are specified in a systematic way. 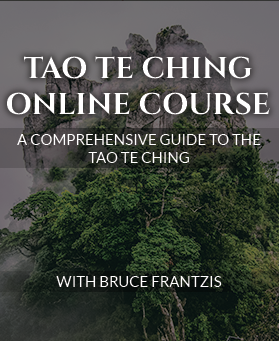 This valuable ability to pass on previously accumulated information intact, so the next generation can accurately reproduce the previous generation’s skills, is part of the genius of the Taoist internal arts. 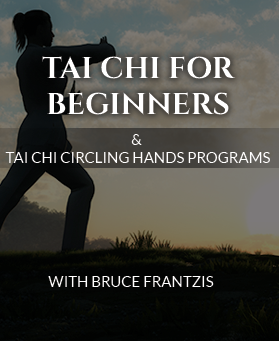 The Taoist internal martial arts and qigong (chi gung/chi kung) also clearly articulate the health, healing and longevity chi methods that are generally absent in modern aikido. 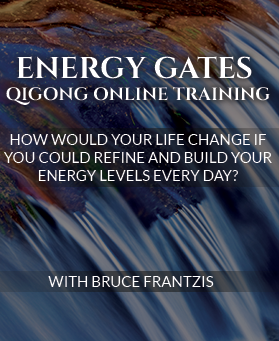 I believe that lovers of aikido will find it both interesting and beneficial to explore bagua chang and qigong in order to gain practical insights into what O-Sensei Ueshiba taught.